You might have seen the MINIs during the Olympics and read about the special edition MINIs that are available in the UK. 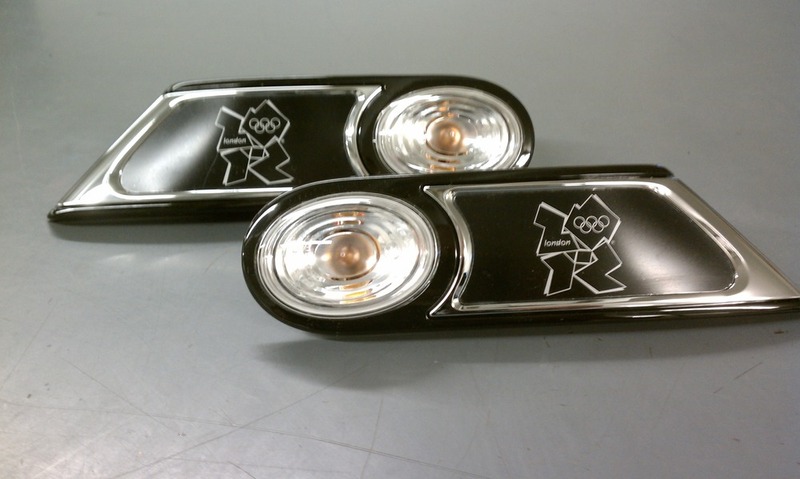 The update to that post is that one of the Olympic accessories can be had in the States. That accessory you can see above, the only set of Olympic sides scuttles in the US and **only** available at MINI of Ontario! They are’t cheap (about $140 shipped), but if you are looking to have something on your MINI that **nobody** else has, give our man Mr. MINI Parts a call at 866-783-0075 before anyone else to get that set for your 2nd generation MINI. Picked up a set of these last week for the WhiteRoof Clubman from Mr. MINI Parts himself! He said that he had at least one more set . . .